The Keeneland July Yearling sale’s second-highest price was a $2.9-million Maryland-bred son of Seattle Slew, sold by Mrs. Eleanor Sparenberg’s Ross Valley Farm. The bay colt, given the name Seattle Angle, was purchased by D. Wayne Lukas, who was said to have described the colt as “the best Seattle Slew I have ever seen.” A renowned yearling sales buyer, Lukas had trained two of Seattle Slew’s champion offspring, Landaluce and Capote. The colt, one of three seven-figure Maryland-breds at the sale, was out of Eclipse Award-winning 2-year-old filly Smart Angle (by Quadrangle). Lukas had the mare’s 2 and 3-year-olds in his barn. Also selling colts by Cox’s Ridge and Nijinsky II for $460,000 and $200,000 respectively, Ross Valley was the fourth-highest consignor by average ($1,186,667). 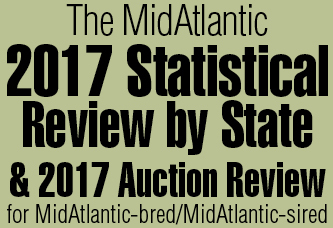 Maryland and Canadian-based Windfields Farm was the third-leading consignor by gross, as eight yearlings brought $5,185,000. Topping their consignment was a Maryland-bred full brother to Epsom Derby-G1 winner Secreto (Northern Dancer—Betty’s Secret, by Secretariat), purchased by Irish trainer Vincent O’Brien for $1.4 million. Windfields also sold a Northern Dancer colt out of the Raise a Native mare Shake a Leg for $1.3 million. The Maryland-bred was a full brother to champion Danzatore. Recently retired Northern Dancer was the leading sire at the Keeneland select sale for the 10th time, with his 13 yearlings selling for an average of $956,538. The sales-topper was his Kentucky-bred son out of Secret Asset (by Graustark), who brought $3.7 million. The top two Keeneland yearlings were the most expensive sold that year. Both became stakes winners.Northern Dancer’s colt was English group winner Warrshan. The Seattle Slew colt, whose name was changed to Houston, was one of the most touted runners targeting the 1989 Triple Crown, complete with a profile in Sports Illustrated that spring. While he didn’t win a classic, Houston did win five of his 11 starts, three in graded company, and earned $240,632 before retiring to stud. 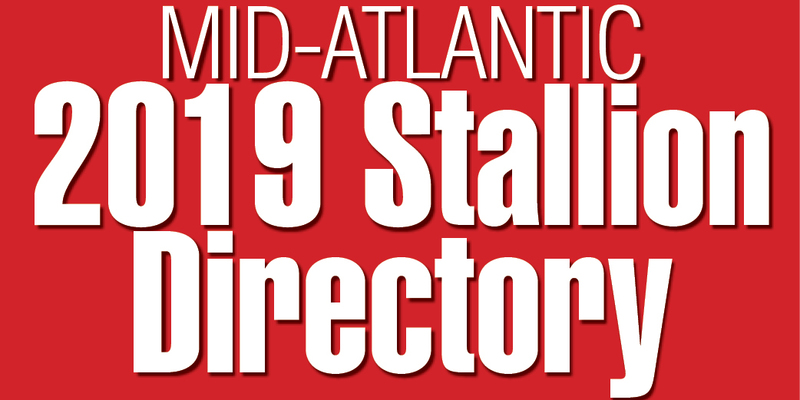 Local stallions in the news: Freshman sire Deputy Minister, who stood at Windfields Farm in Chesapeake City, Md., got his first winner when 2-year-old Yes Minister, racing in the colors of Ernie Samuel’s Sam-Son Farm, won his first start at Woodbine on June 20. One week later, the colt finished second in the $75,000 Clarendon Stakes-G3. Country Life Farm’s Allen’s Prospect had a busy first season at stud, as 65 mares were reported bred to the son of Mr. Prospector standing at the farm in Bel Air, Md. Longwood Farm in Glenwood, Md., reported the death of Turn to Reason, who had stood at the farm for 20 years. The 25-year-old son of Hail to Reason sired 11 stakes winners, the best his multiple graded stakes-winning daughter Privacy. Others included Issue Joined and Leematt. Seventy-eight percent of his starters were winners. Turn to Reason turned out to be a solid broodmare sire. His daughters produced 29 stakes winners, including the likes of $527,649-earner Silent Turn and $410,733-earner Am Capable. His daughter Turn Capp is the third-dam of champion sprinter and top sire Smoke Glacken. The newly formed Amateur Riders Club of America (ARCA) had its first race in what was hoped would become a series at racetracks around the country. The organization was founded by Pierre Bellocq (better known to the racing world as Peb) and his son Remi Bellocq. It was based on the International Federation of Gentlemen Riders in Europe, with which the Bellocqs had competed. “We have always wanted to start a club like this in America, and this year we decided to give it a try,” said Remi Bellocq. The first race was held at Delaware Park and pitted leading amateur riders from Canada, Spain, Sweden, Ireland, Great Britain, Italy and France, against five American amateurs. Colvin (Gregg) Ryan, riding Eskimo Point (trained by Jonathan Sheppard), won for the North American team, over Swedish rider Christer Segner. Remi Bellocq was third. Other American-based riders were Maryland Hunt Cup winner Liz McKnight, Joe Gillet, and 16-year-old student Sean Clancy.